By Jeff Bulmer - Phoenix Alumni · January 14th, 2019 at 2:08 p.m.
On the surface, The Favourite is a period piece chronicling a feud between two advisors to Anne, the Queen of England during the War of Spanish Succession. The way this story is told, however, deftly combines elements of romance, political thriller, and a healthy dose of bone-dry wit to create one of 2018’s most interesting movies. At its core, The Favourite tells two stories. The first is the fall of Sarah Churchill (Rachel Weisz), longtime “favourite” of Anne (Olivia Colman), who often conducts business as surrogate queen. Churchill is a Whig, and staunch supporter of Britain’s involvement in the War, while Anne is a Tory, and is considering suing for peace with France in the interest of ending what has become a very costly war. This difference of opinion manifests as a proxy war between Churchill, supported by Whig prime minister Sidney Godolphin (James Smith), and Tory opposition leader Robert Harley (Nicholas Hoult). As Churchill and Harley lobby for influence over Anne, Abigail Hill (Emma Stone) arrives at the court, and is quickly employed by Anne. The second plot of The Favourite follows Hill, whose kindly demeanour and genuine interest in Anne’s hobbies allows her to quickly befriend the Queen. As Hill’s friendship with Anne grows, so does her political influence, attracting the attention of Harley and Churchill. The heart of the movie is Queen Anne, herself the centre of the love triangle that connects the two main plots. Anne is impulsive, emotional, and quite disinterested in politics, preferring to play games and tend to her rabbits. She’s also suffering from a terrible case of gout – just one of a series of ailments that would plague her until her death in 1714. Colman steals the show as Anne, balancing an emotionally raw, commanding screen presence with a near-oafish charm and a bit of dark slapstick. Colman also has fantastic chemistry with Weisz, making the breakup between the two’s characters an especially powerful plot-line. On the political thriller side of the film, the unsung hero is Harley. As leader of the opposition, Harley is a charismatic and manipulative opportunist, eagerly seeking out any way to gain the upper hand over his rivals. A wealthy landowner outside of parliament, Harley is a symbol of aristocratic excess, clashing beautifully with the rags-to-riches Hill. As Hill’s influence over the Queen grows, Harley goes to surprising lengths to seduce Hill to his side – both literally and figuratively. If The Favourite were more black and white, Harley would be a delightful villain. 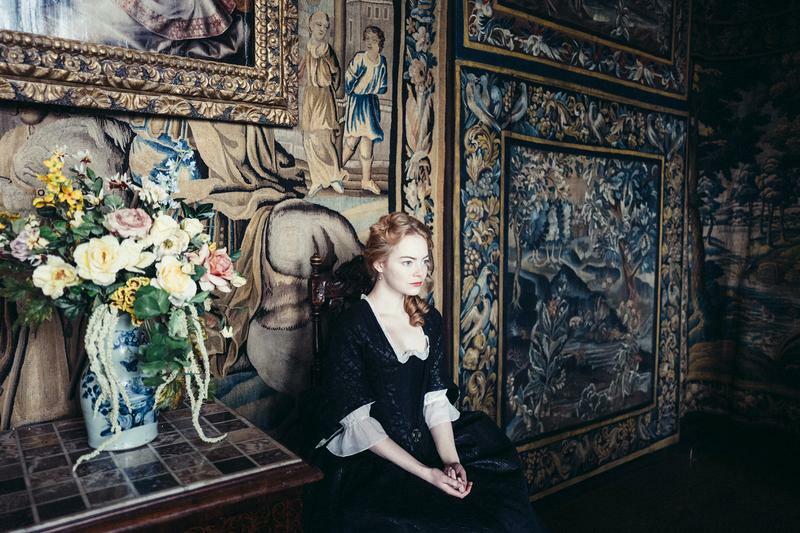 The Favourite sets itself apart from many other period pieces. Particularly tense moments are exaggerated with claustrophobic camera angles, and a sinister score, making the film seem more thriller than drama at some points. Less grave scenes are riddled with perfectly timed jokes and quips. Perhaps most importantly, the writers smartly avoided antiquated dialog. 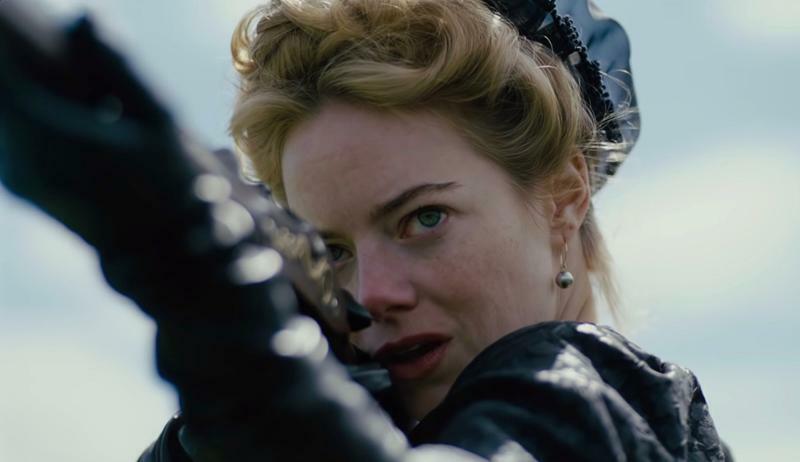 Despite being a period piece, The Favourite doesn’t feel 300 years out-of-date.